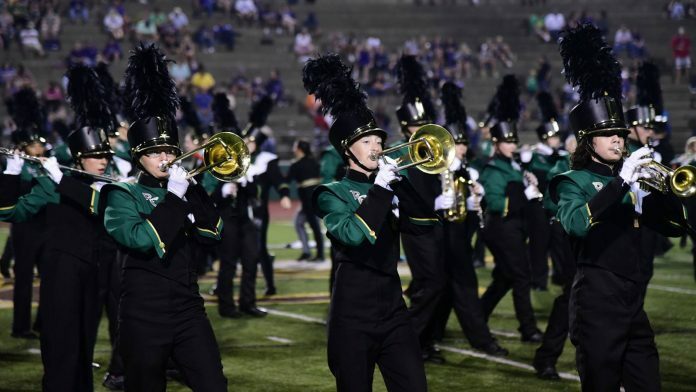 Evensville, TN — The Second Annual Rhea County Marching Band Invitational is scheduled for Saturday, October 27, 2018 at Bill Horton Field located at Rhea County High School. The first competitor, Livingston Academy will perform at 12:30 pm and awards ceremony is scheduled to begin at 8:00 pm. There will be nineteen bands competing in the Rhea county Marching Invitational. 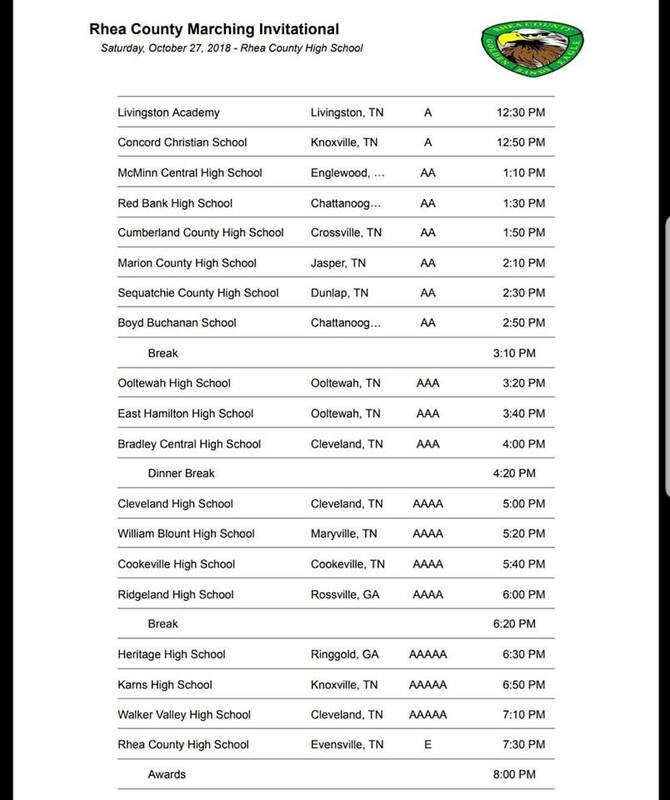 Rhea County is scheduled to perform at 7:30 pm. Admission to the Invitational is $10.00 per person, with children under six requiring no admission charge. Parking is free. There will be multiple vendors and a full concession, serving typical Friday Night Football Game food as well as BBQ sandwiches and fried oreos. Everyone is invited for a great day of music and marching.